I want to make delivery to Tashkent, Uzbekistan. Special offer! Summer kiss. Vase for free! Promo! Fairy. Vase as a gift! ∅ 45 sm. ↕ 35 sm. What flower composition will be suitable for a young lady? Remember about one rule: if the person is young, flowers should be light. Choose orchids, tulips, roses in pastel tones or white chysanthemums for your darling. Our florists have created bouquets to please all of clients. 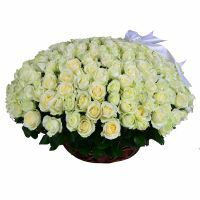 We propose you to select a bouquet from our great assortment at our website. You can choose one or more of bouquets; also you can add some gift to flower composition. For example, box of chokolates or amazing cards. Write a shot order form to make a purchase. You can pay your order by any comfortamle system. It is ready! Our courier will deliver gifts for the addressee in time. Make order of flower delivery right now! 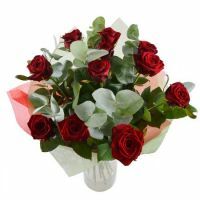 We propose you the freshest flowers, unique bouquets ant quick delivery. 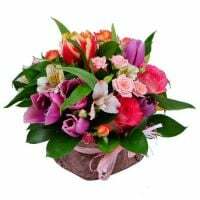 Stay with UZ-Flowers and please your dear people by flowers.